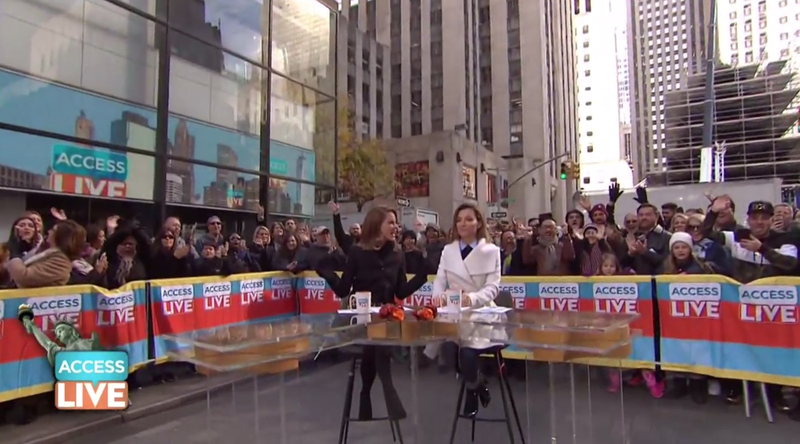 The shows, which were previously known as ‘Access Hollywood’ and ‘Access Hollywood Live,’ respectively, used outdoor setups Monday. ‘Access Live’ was set up outside of Studio 1A Monday with the Rockefeller Center Christmas Tree installation in the background. The show used a V-shaped glass anchor desk with high stools and the studio’s LED facade was used to display branded graphics. ‘Access,’ meanwhile, originated from one of the 30 Rock’s rooftop gardens Monday. On Tuesday, ‘Access Live’ moved inside with the same glass anchor desk placed in the so-called ‘vista wall’ alcove in the ‘Nightly’ side of Studio 3A. For ‘Access,’ a daytime New York City cityscape was fed to the video walls, along with orange, white and blue accents. 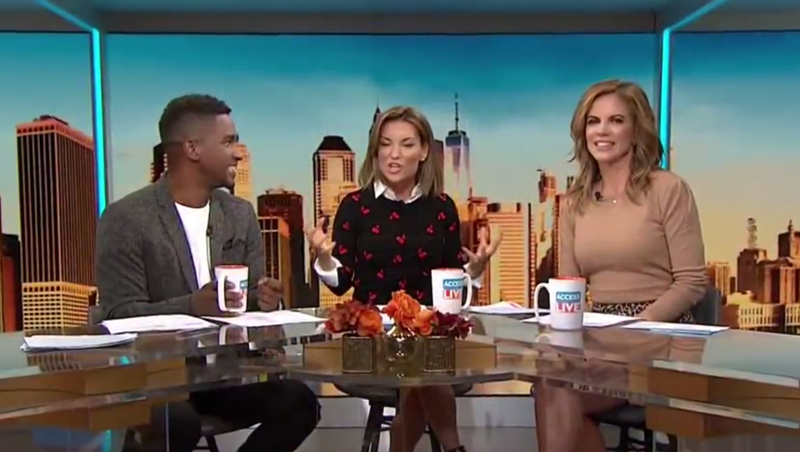 For host-only shots, Kit Hoover sat in the middle, with Natalie Morales and Scott Evans on either side. For an in-studio interview with Jerry Springer, the three co-hosts moved to the right side of the desk, with Springer on the left. For the flagship ‘Access’ show that evening, the video walls featured a night cityscape with the ‘Access’ logo. Both setups turned the LED strips in this area a bright teal, which matched the ‘Access’ logo. Morales and Hoover also co-hosted “Today Third Hour” Monday and Tuesday morning. Morales hosted Wednesday. Both “Access” and “Access Live” are produced by NBC O&O KNBC and distributed by NBCUniversal Television Distribution, making them all part of the same corporate family.